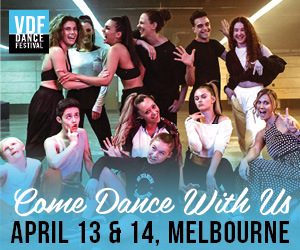 The Australian Company of Performing Arts (ACPA) invites dancers interested in studying dance, dance teaching and/or management to its Open Day on October 8. 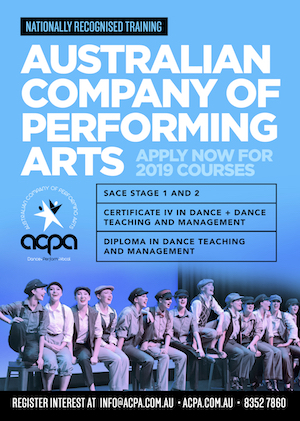 Based in Adelaide, ACPA offers three full time course options: CUA40113 (Certificate IV in Dance), CUA40313 (Certificate IV in Dance Teaching and Management) and CUA50313 (Diploma in Dance Teaching and Management). Applications are currently being accepted for 2019 entry. 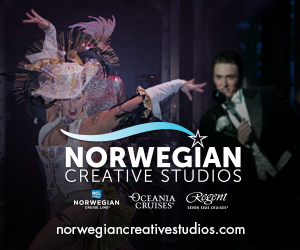 The Certificate IV in Dance offers a wide range of subjects, such as ballet, musical theatre, jazz, tap, contemporary, commercial, fitness and nutrition, audition techniques and choreography. Meanwhile, the Diploma in Dance Teaching and Management links with the Certificate IV in Dance as well as looking at a wide range of new subjects, like best teaching practices, developing safe dance, stage management, injury prevention and business management. For more information, visit www.acpa.com.au or click here. For all the details on Open Day, which gives students the opportunity to train full time for a day, email Alexis at alexis@acpa.com.au.